I got a few pleasant surprises over the weekend! 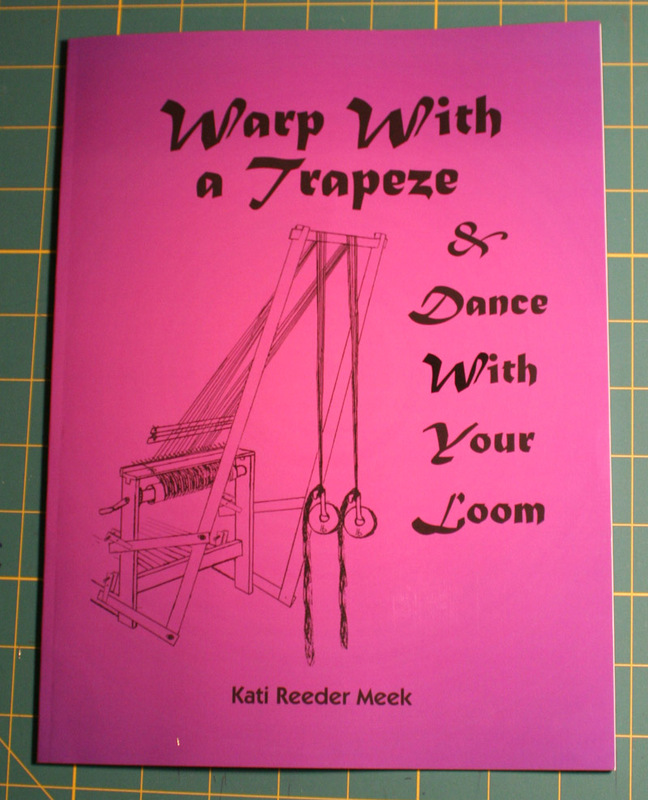 First, I got a mysterious package forwarded from my old address in San Francisco.Â When I opened it up, there was a copy of Warp with a Trapeze and Dance With Your Loom!Â Kati Meek recently reprinted this wonderful little book, and had asked me to provide a blurb for the back cover.Â I happily did, as it was one of the most useful books of weaving tips that I’ve found, but I didn’t expect my own copy of the reprinted edition! At any rate, I have not seen these methods discussed in any other book (which doesn’t mean someone else hasn’t discussed it, just that I haven’t found it in anything in my library), and those two tips have been completely invaluable, so I recommend the book highly.Â Kati is selling it on her website, katimeek.blogspot.com.Â I think it’s only $19.95. 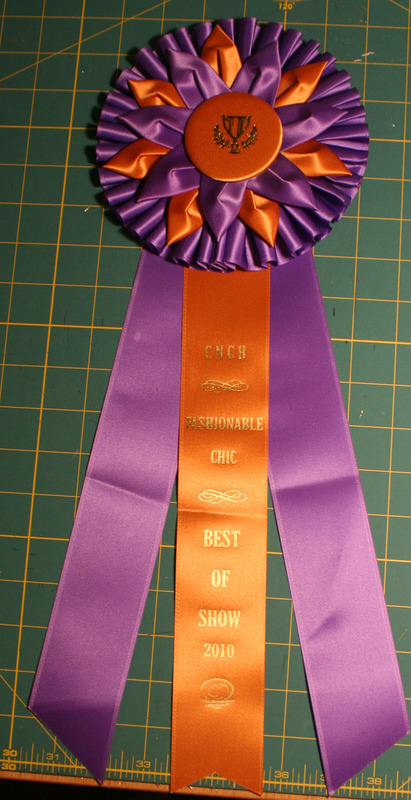 So I am pretty pleased about that.Â I will have to find some place to display it in my studio! 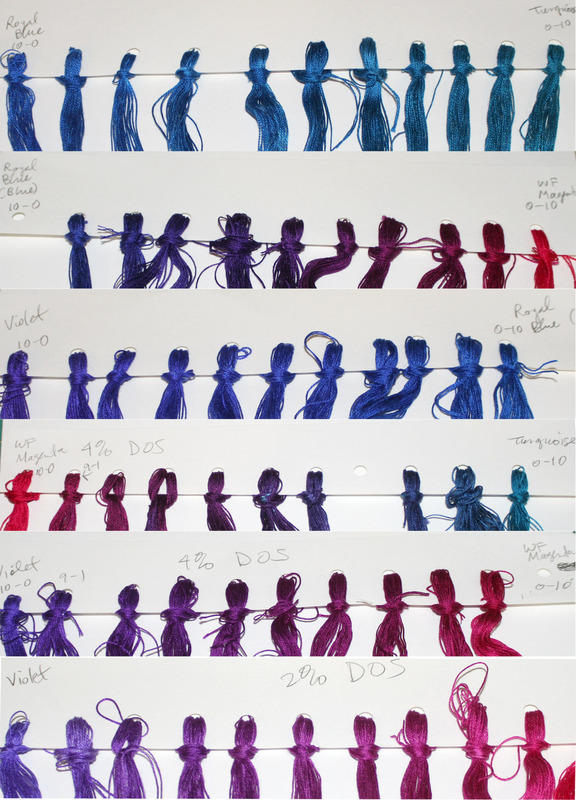 And, finally, dye samples.Â I am pretty pleased about those too – no prize ribbons, but lots and lots of gorgeous silk yarn! Mostly it’s 4% DOS (4 grams of dye for every 100g of yarn), but the last two samples are interesting – one is dyed at 4% and the other at 2%.Â The one at 2% has somewhat brighter colors, but the one at 4% has deeper, more intense colors.Â I’m still on the fence about whether I want to dye most of my samples at 4%, or compromise between the two depths and dye at 3%. I’m VERY pleased with how the samples are turning out.Â I’ve already discovered several shades that I hadn’t mixed successfully before!Â Can hardly wait to dye more.